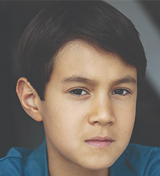 HAYDEN BERCY (Louis Leonowens) Hayden is thrilled to join The King and I. Prior Credits: A Christmas Story national tour (Flick), Radio City Christmas Spectacular (Ben), The Nerd (Thor) at George Street Playhouse and 2018 US Tennis Open Soloist. Thank you: NETworks, Jason Styres, Lisa Calli, Justin, Emily, Janine, Mom, Dad & Brielle. 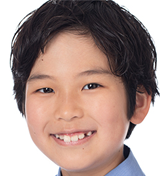 KADYN KUIOKA (Ensemble) Kadyn is delighted to be joining the cast of The King and I! Thanks to NETworks, Jason Styres, and his performing arts teachers in Honolulu, HI for the opportunity. Much love and thanks to his friends and family, especially Mommy, Daddy, and his sister, Kylie, for all their help and support. LINDER SUTTON (Ensemble) Linder is excited to be making her National tour debut. 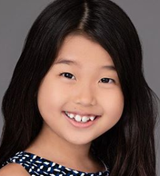 Her credits include playing Tam in Serenbe Playhouse’s production of Miss Saigon and appearing in the film remake of Jacob’s Ladder. Big hugs to Mama and Daddy always and forever. 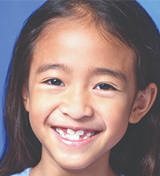 KAYLA TERUEL (Princess Ying Yaowalak, Ensemble) Kayla is making her theatrical debut with The King and I tour. 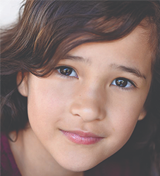 She lives in Canoga Park, CA, attends Chime Charter School and dances at Los Angeles Ballet Academy. Kayla would like to thank her family, and also Walker and Catrina of WC Studios and Nancy Carson of Carson-Adler Agency. ELIOT WALDVOGEL (Swing) This is Eliot’s first national tour and he is delighted to join the cast of The King and I. He has previously appeared with the Stockton Civic Theatre, That’s Showbiz! Theatre, and KUDOS Children’s Theatre in Stockton, CA. He would like to thank Mom and Dad (even though he is banned from singing at the table), his sister Miriam, and his dog, Oliver. Broadway in Boston Announcement, Jorge Vega on "Blue Bloods", and more pictures! Exciting news! 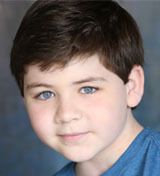 Jorge Vega (Radio City Christmas Spectacular) appeared on "Blue Bloods" Friday night. We will have video soon. Congrats, Jorge!